In the modern world of technological developments, several hi-tech gadgets have started surfacing. While every other user wants to grab a latest iPhone, they have also been caring to get some nice smartphone cases. However, until now, your phone case may not have established a connection with you. 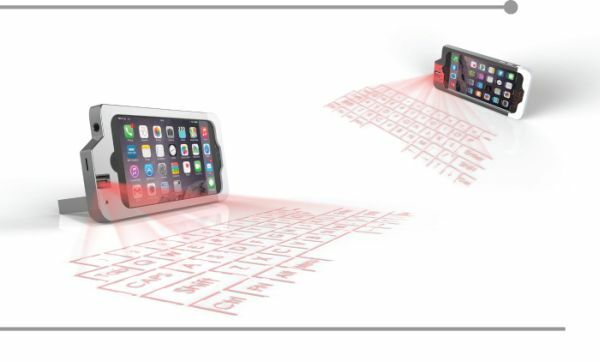 It is used simply to protect your device from scratches and falls.We tell you about a new design for a projector keyboard case that can strengthen the human connection with it. Bin Zhu from Georgia, USA, has come up with a unique design for an iPhone 6 Plus smartphone case. Considering the popularity of phone cases, he thought of redefining the relationship between a case and a smartphone. With his new iPhone 6 Plus case design, he intends to make the phone case more functional so its boundary can be extended from being a simple gadget.With the introduction of keyboard projection capabilities in this special case, the designer has attempted to displayit as a critical and intelligent unit to be used with your iPhone. This smart case may look like a regular iPhone 6 Plus case, but it is much more functional. It has an aperture at the back that can be opened to make use of its projection features. It may not only project your iPhone keyboard on any surface, but may also project the phone’s screen anywhere you want. Thus, you will not have to bother about handling that little keyboard on your iPhone when you want to show something to a large audience. You can make use of a bigger projected image and even do your presentations using it. While the exact usefulness of this projector case is not yet detailed, you can imagine the possibilities it can bring into the cell phone accessory market. Connetech iPhone 6 Plus Projector Case has successfully introduced a simple idea of image projection into an innovative frame. It shows a workable thought ina gadget that has a minimalistic design. The use of a projector case in daily life can be quite helpful for people who are always on the go and do not want to carry a projection device with them.This little case can solve their phone screen projection issues. 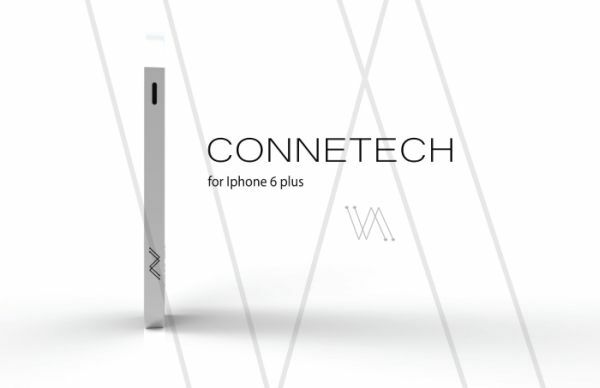 Connetech iPhone 6 Plus Projector Case is a cool idea for users who need to make use of projected images from their iPhone screen. With a simple design, this case brings you closer to your smartphone. where to buy cell phone battery?